Written with Rebecca Kirkman, Christianna McCausland. We’ve reported on the real-estate landscape in every way imaginable over the years, applying all manner of criteria. Neighborhoods offering the best bang for your buck? Check, done that. Most exclusive (aka pricey)? Check. Fastest-selling based on days on market? We’ve done that, too. This time, though, we got personal: Our editors went looking for the enclaves that we find most charming. 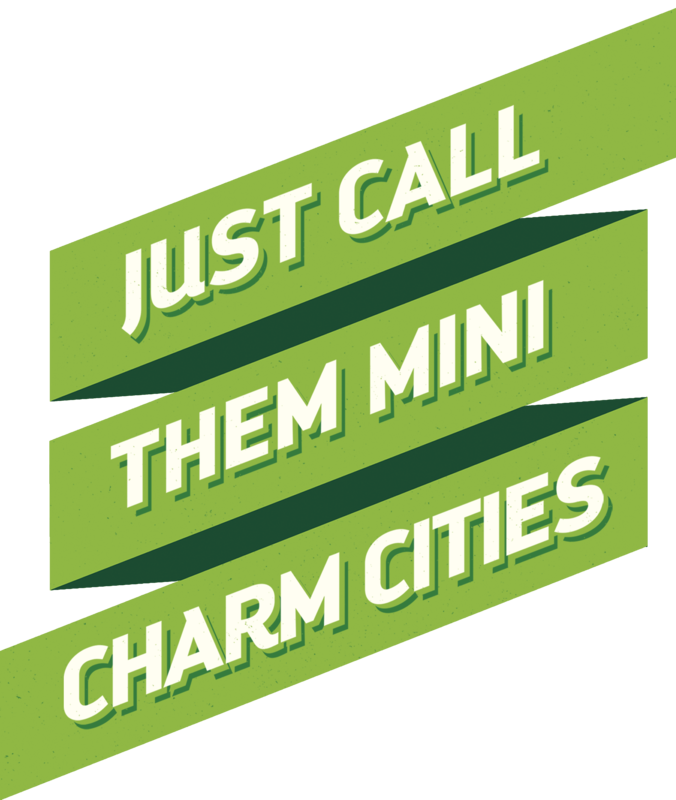 Charm, of course, is subjective, but there are certain things we can all agree on: quaint or captivating architecture, friendly neighbors, and that certain “It” factor that makes you want to call it home. So happy hunting, house buyers. We hope you find these neighborhoods as bewitching as we do. Mayfield has a tagline, “A hamlet in the heart of town,” though it might as well be, “The neighborhood you’ve never heard of—but should have.” Bordered by Clifton Park, Herring Run Park, and Lake Montebello, Mayfield features an assortment of architecture, from authentic Victorians to bungalows and Tudor-style cottages, that is so varied that the neighborhood was put on the National Register of Historic Places in 2004. A portion of its landscape was designed by the Olmsted Brothers, better known for designing north Baltimore’s toniest ‘hoods out of the woods in the early 1900s. Yet plenty of people have never even heard of it. Nina Tou, a retired graphic designer, and her husband, Jacob Slagle, a semi-retired businessman, moved into their English-style country cottage 25 years ago. The house was built in 1926 and features a working fireplace, hardwood floors with parquet detailing, spacious rooms, and a backyard with space for Slagle’s prolific vegetable garden. But it was the sense of community that won the couple over. The sense of belonging is cultivated by an active community association, the Mayfield Improvement Association, of which Tou is a board member. The group oversees a spring fling to benefit the community playground, annual bulb and tree planting, and welcome baskets for new neighbors. The summer block party is a huge fête that has been taking place for more than 50 years. And while Mayfield may feel like a hamlet, it’s convenient to major roads and less than 15 minutes to the heart of downtown. Back then, the neighborhood was inhabited by the families of old steel-mill and shipyard workers. 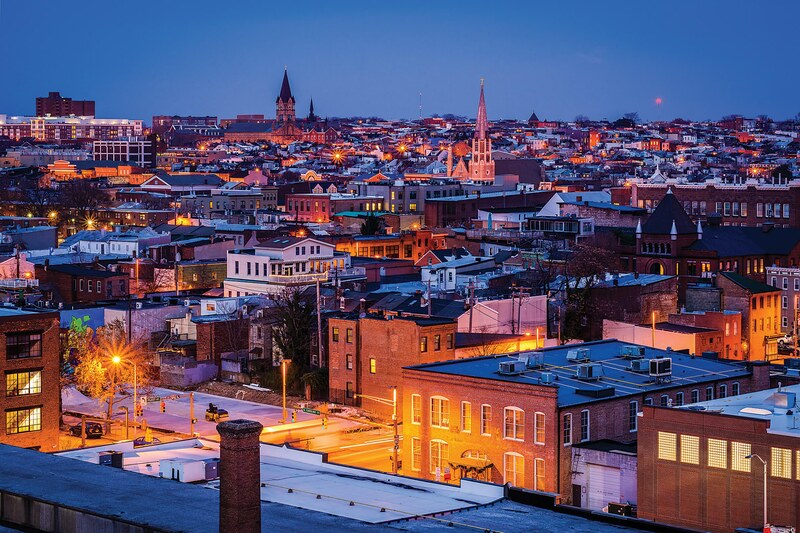 When the couple’s daughter was young, other parents were wary of sending their children to Fells Point for play dates—after all, sheltered suburbanites saw it as the big, bad, scary city. But Gummerson has seen the area change as the old families have been replaced by young professionals. When she moved in, she was one of the few people with a child in the neighborhood; now a new playground overflows with families. 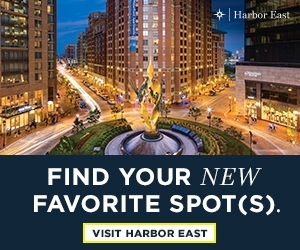 Gummerson says the neighborhood, one of the oldest in Baltimore City, has gotten “fancier,” especially with the opening of The Sagamore Pendry and the shops at Harbor East just a walk away. While the 18th-century port and shipbuilding district exudes new energy, it is still protective of its history and keeps its unique character with local shops, a farmers market, and flea markets. Gummerson’s home was built in 1864, part of a group of homes erected for ship captains, and she’s across the street from the Robert Long House, which was built in 1765 and is the city’s oldest surviving residence. 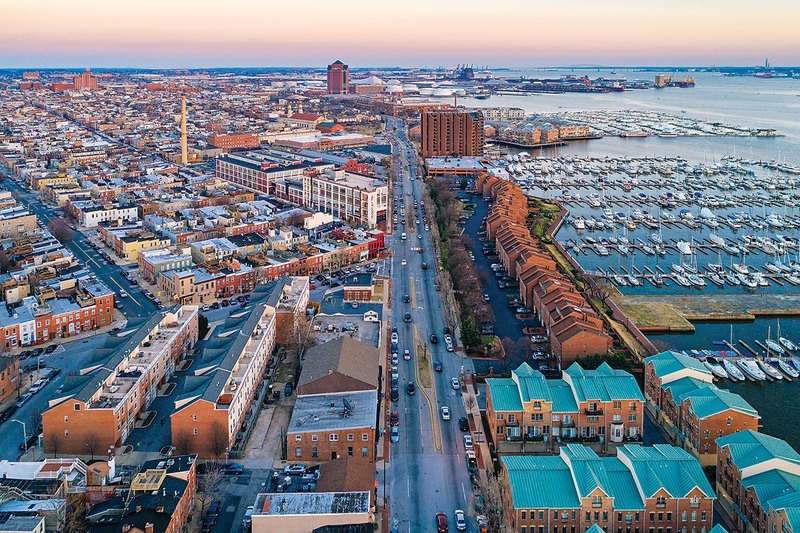 Gummerson says Fells Point is unique because it is so centralized, with all the businesses and restaurants and bars within a block or so of the central square and the waterfront. The liveliness that originally attracted Gummerson and Earley is still evident. FUN FACTS: All aboard for Baltimore: This was the Victorian-style station house that was the Brooklandville stop on the Valley Branch of the Northern Central Railroad. Its use as a passenger stop ended in 1933, and, with the construction of the beltway and I-83, the line was closed in 1959, after which it was converted to a residence. 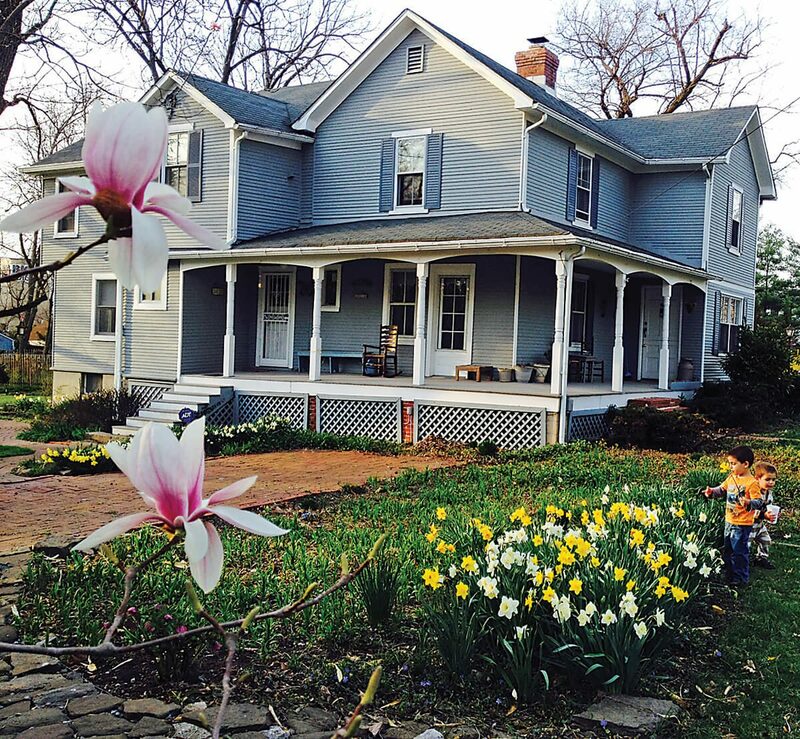 Most people think of Rodgers Forge as a haven for families with small kids. But when Michael Quasebarth, 55, moved to Baltimore for a job in sales nearly 18 years ago, he fell in love with the neighborhood—with nary a child in tow. He found the community beautiful, especially the mature trees, and he liked the character of the homes and the central location. 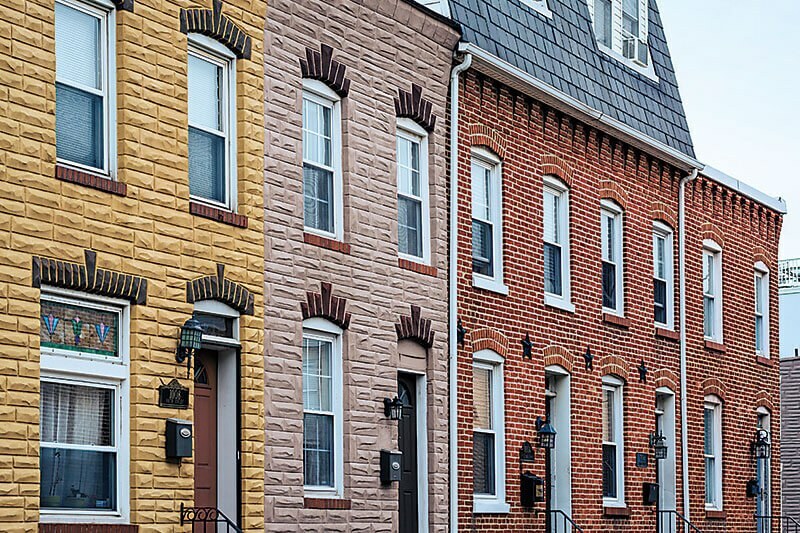 Conceived as a “streetcar suburb” of Baltimore City, the Forge consists of about 1,800 rowhomes built between the 1930s and ’50s. Like Quasebarth’s house, which is a middle-of-group, most houses are constructed of brick with slate roofs and immaculate yards. Quasebarth says he stayed because of the community: There are popular events such as the Easter egg hunt on the Tot Lot and the Annual Summer Picnic, as well as numerous informal block gatherings. It’s the sort of neighborhood where everyone goes out after a snowstorm to help each other shovel—and it turns into a party. Quasebarth says the community has gotten more dynamic in recent years as Towson boomed. The popular ice cream shop The Charmery is an easy stroll, as are a number of restaurants and a grocery store. Though Quasebarth has no plans to move, he says it’s also nice that home values have stayed strong. Because there’s always a young family ready to move to Rodgers Forge. In the minds of Jeff Price and his wife, Amy, the year 2015 stands out in their memories for two very different reasons: They welcomed the birth of their son, and Freddie Gray died in police custody, sparking city riots. 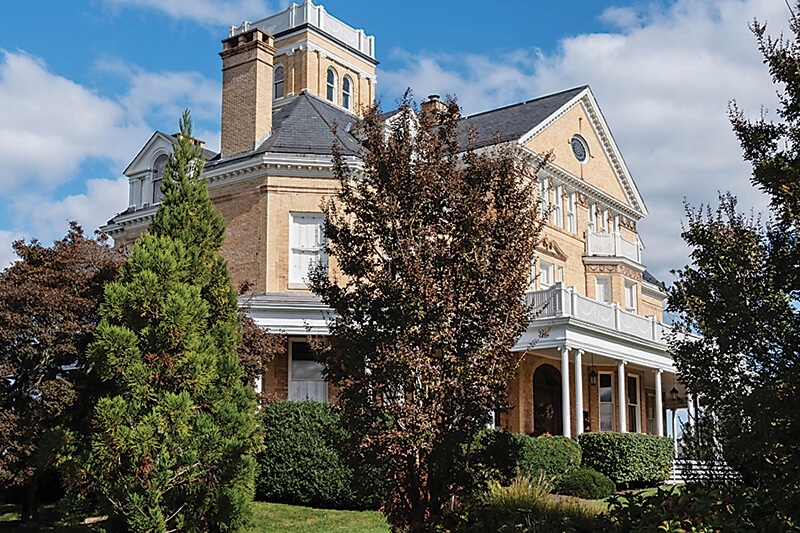 But these two things informed the Price family’s choice to move from Parkville to Lauraville, known in the real-estate scene as part of Hamilton-Lauraville. In Hamilton-Lauraville, the Prices were able to get a larger home than they had in Parkville for a lower price. 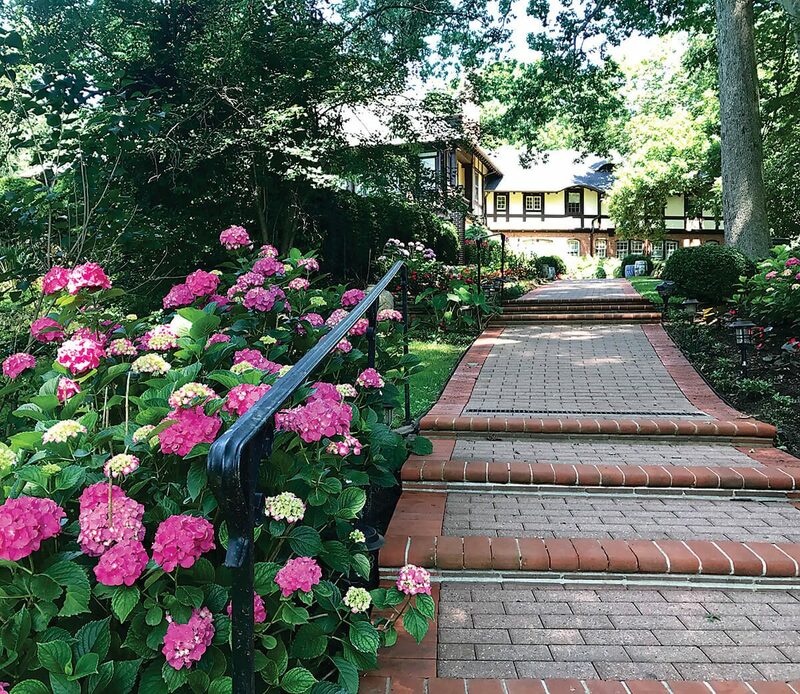 The house, built in 1917, borders a forested area of Herring Run Park, so it’s quiet, yet the family can easily walk to their favorite shops and restaurants. They joined the “HL Sprouts” group (neighbors who help each other with babysitting, toy and clothing swaps, and all things family-related) and joined the Swan Lake Swim Club. 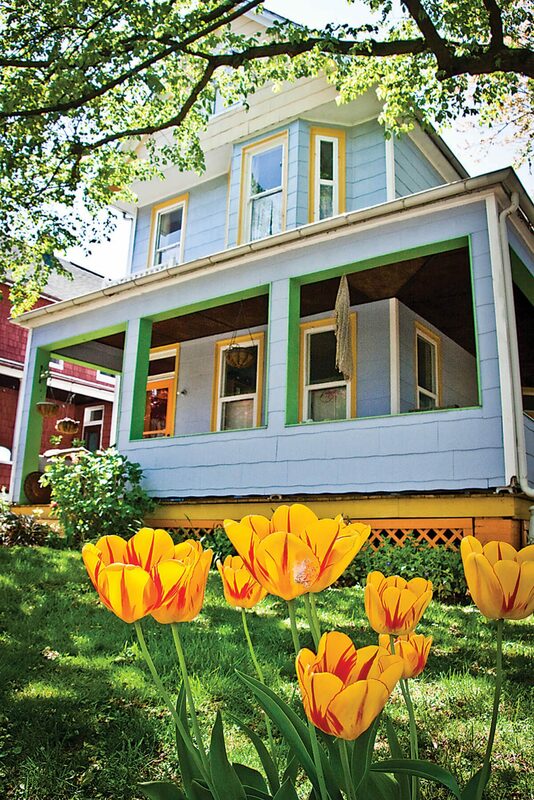 While many growing families consider leaving the city, Caroline Pratz and her husband, Keith—who moved to Canton in 2001—actually upgraded to a bigger house in the neighborhood five years ago after the birth of their second child. 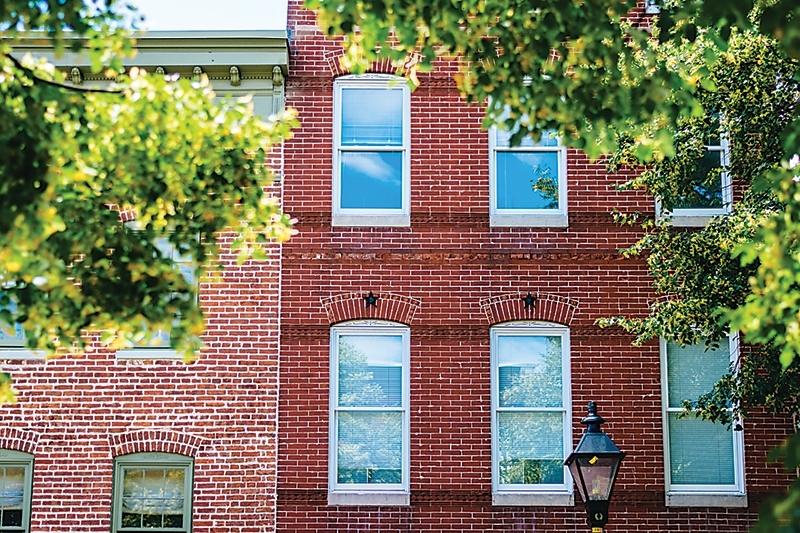 The couple, now with three children ages 3, 5, and 7, purchased a larger, rehabbed rowhouse. Pratz, a nurse practitioner, and Keith, a physician, both work at Johns Hopkins, just moments away. The family can walk to dinner or to get ice cream, as well as to the playground. They’ve created a network of nearby families through the local Catholic school, which the kids walk to each day. In the time she has lived in Canton, the area has grown and developed: There are tons of free concerts now on the Square and at Canton Waterfront Park. She doesn’t have to drive to Towson to go to Target anymore, which has made life with small kids in the city much easier. What hasn’t changed is the demographic makeup of the neighborhood, which she always enjoyed. 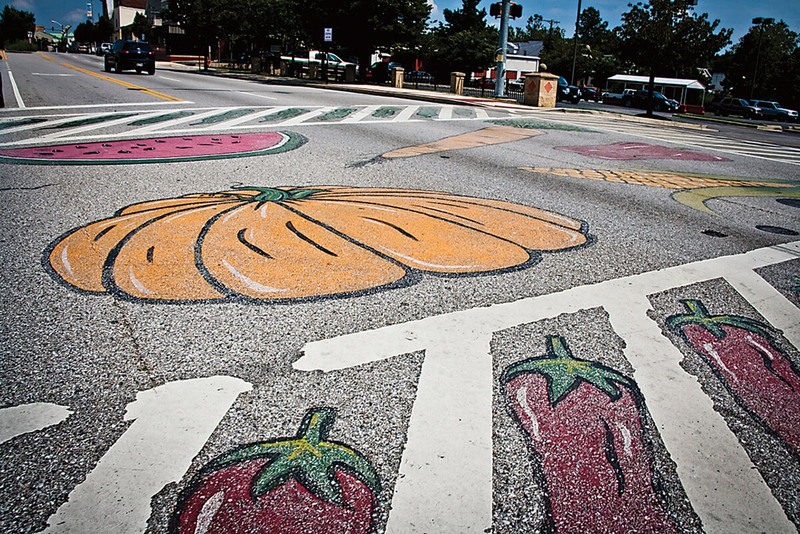 “The neighborhood is a microcosm of the nation, with people of every race and orientation you can think of and a huge amount of talent—artists, lawyers, and teachers." 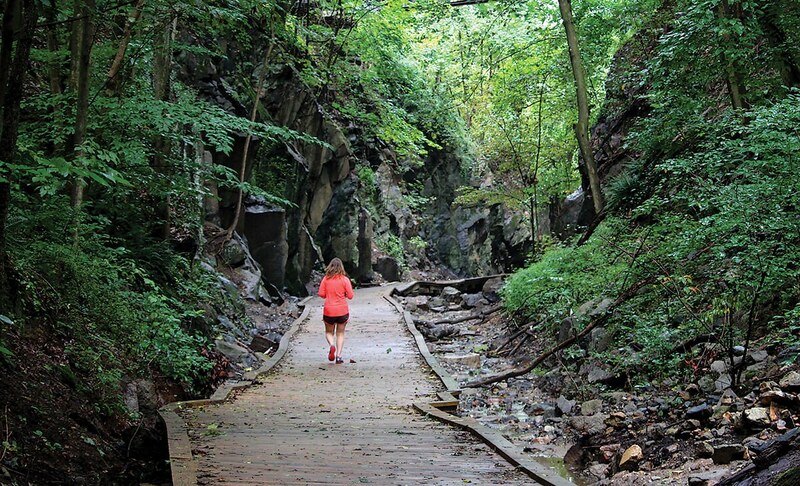 And while you’re listening to the Gwynns Falls streaming over a waterfall and watching the local wildlife wander by, you might never guess it’s actually inside the city line, tucked into a corner of West Baltimore near I-70 and 695. 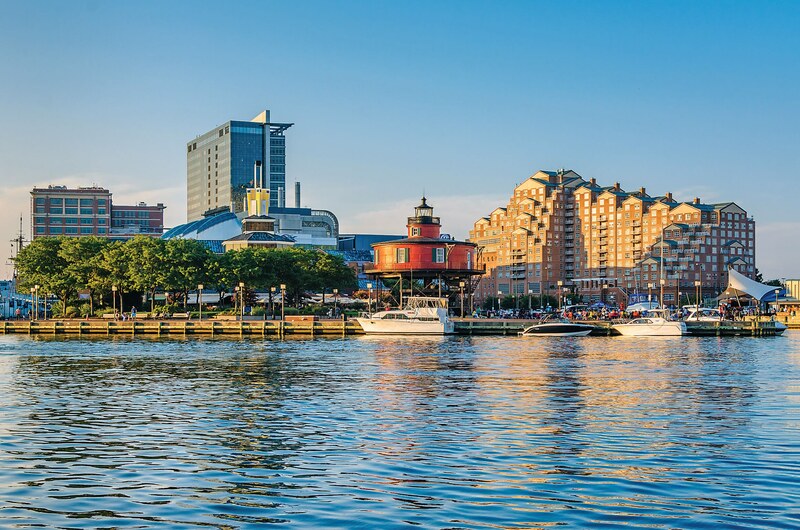 You can practically ride a bike to the Inner Harbor without breaking a sweat. Blair, an IT project manager who also serves as the neighborhood archivist and historian (as well as being a wood turner in his off-hours), says the sense of community is another big draw, as is its melting-pot makeup. “The neighborhood is a microcosm of the nation, with people of every race and orientation you can think of and a huge amount of talent—artists, lawyers, and teachers—and because it’s close to D.C. as well as Baltimore, people of all walks just find us.” Which is probably another reason why the neighborhood is in such demand—it’s notoriously hard to find a home for sale here. 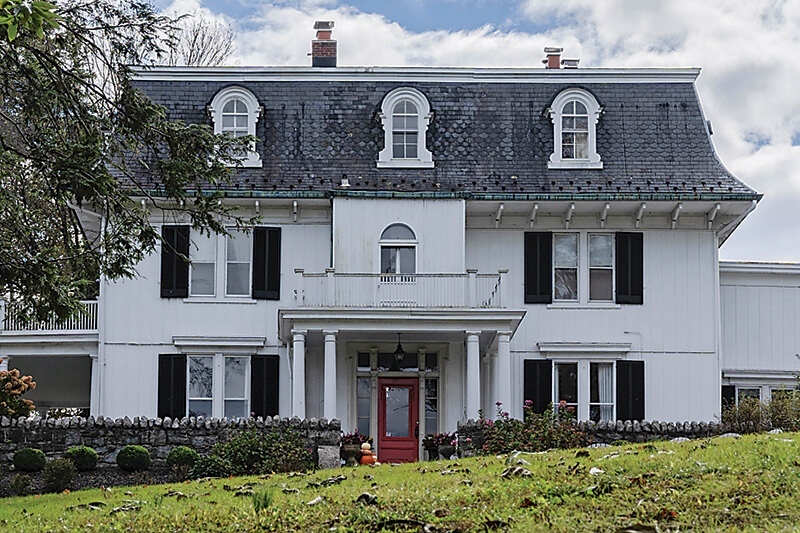 FUN FACTS: This Beaux-Arts mansion was the country home of Baltimore Sun founder Arunah Abell. After it was donated to the county in 1955, it served for a time as The Ridge School for disabled children. 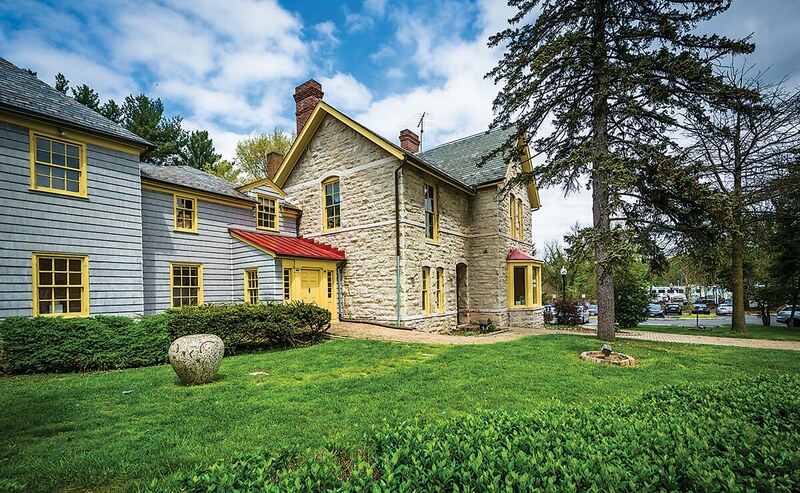 After the school moved, the home underwent a $1-million historic restoration starting in 2002 by developer Marc Munafo of CAM Construction, who now lives there with his family. An unincorporated community in the Greenspring Valley, Stevenson is made up of about 600 homes—mostly mid-century ranch-styles with garages and sizable lots—and is the site of several preeminent educational institutions, from Stevenson University to the highly ranked Fort Garrison Elementary School. For its residents, Stevenson’s location offers the ideal combination of suburban convenience and rural peacefulness. A small mill town located between Ellicott City and Catonsville, Oella is bordered on the north and west by Patapsco Valley State Park. 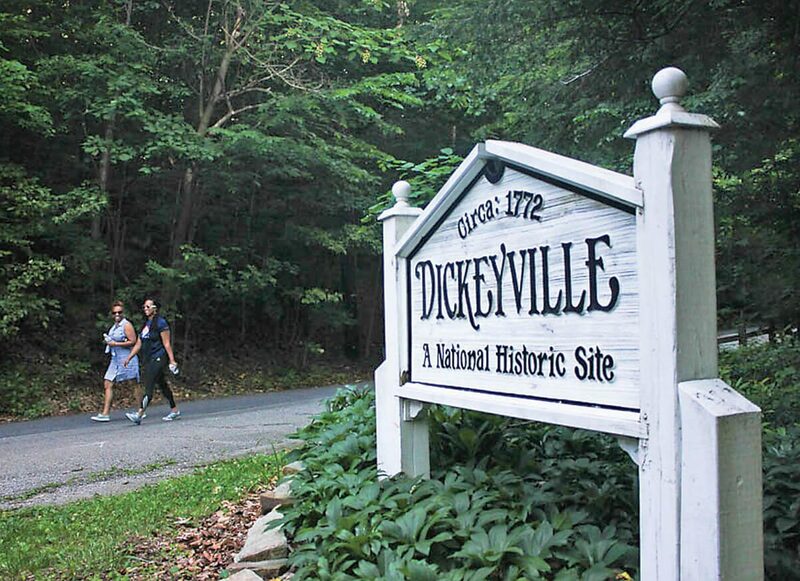 Living in nature while still being part of a tight-knit community was what attracted editor and writer Dori Kelly, 67, to the historic neighborhood six years ago. Rich in history, Oella was founded on the east bank of the Patapsco River in 1808 as a community for mill workers. A grain mill dating to the 1790s remains in operation today, producing corn meal and flour products. Just 30 minutes from Baltimore and 20 minutes from Columbia, Oella retains a peaceful, small-town feel. And it has gained vibrancy: In the past six years, Kelly says she has seen an influx of young families and people with higher levels of education. Kelly describes the architecture as “delightfully varied,” with former mill workers’ brick row homes sharing the streets with Victorian and Colonial homes, log houses, and modern lofts in a restored mill overlooking the river. 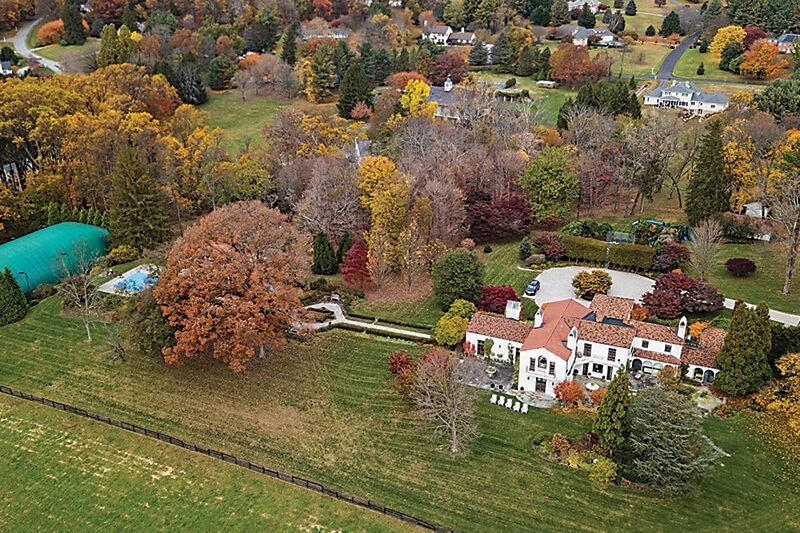 FUN FACTS: Built by opera star Rosa Ponselle at the height of her career, this Italian-style villa in the Greenspring Valley, named Villa Pace (peace house), remained her home until her death in 1981. It served briefly as a Ponselle Museum, then was owned for a time by developer Tommy Obrecht and his publisher wife, Susan, and is now the humble abode of another well-known developer: David Cordish and wife Suzi. Yes, charm can be found in a bustling stretch of downtown, too. The desire to downsize, simplify life, and walk nearly everywhere they wanted to go brought Ilene Cohen and her husband, Neri, to The Towers at Harbor Court. The sparkling waterfront view didn’t hurt, either. But the urban environment hasn’t prevented the Cohens from finding a sense of community. “Living in a building like this, it’s like being back in college,” jokes Cohen, 60, about the 174-unit complex adjacent to the Royal Sonesta, where she and her husband bought a three-bedroom condo six years ago. The first planned railroad community in Baltimore, Lutherville originated as a summer resort surrounding a Lutheran church and women’s seminary. Much of this historic past remains visible today in the former train station, hotel, and general store. The seminary-turned-senior home, College Manor, remains central to the community by hosting events throughout the year, including a fall bonfire. The neighborhood is also known for being home to filmmaker John Waters as a young man—there he befriended fellow Luthervillian Harris Glenn Milstead, later known as Divine, and lived in a Gothic Revival mansion on Morris Avenue until he left for college. Today, as older residents downsize and move out, young families are quickly discovering the Victorian-era community’s charm. After living in Baltimore City for six years, Rita Nabhan, 38, special events director for the Lutherville Neighborhood Association and assistant director of a local preschool, was looking for a neighborhood with more spacious homes but that was still walkable, had nearby parks, and was close to downtown. Her young family found that in Lutherville. 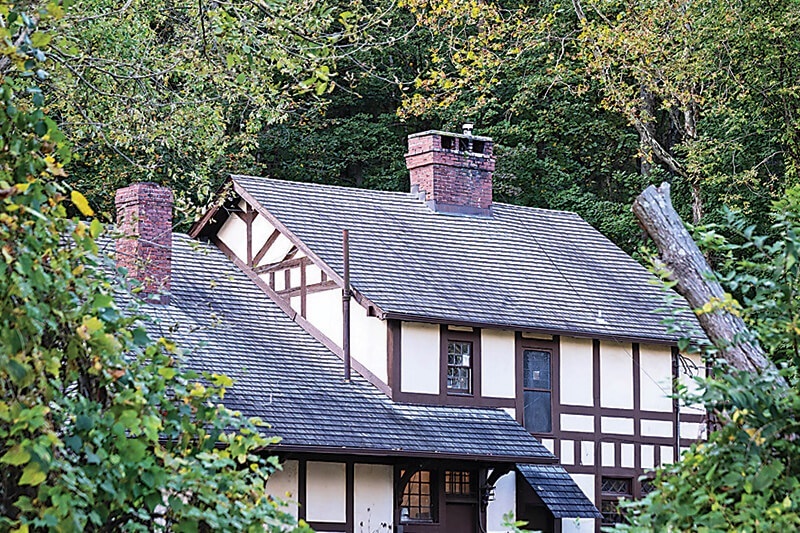 Built in 1911, her cottage is one of the “new kids on the block,” Nabhan jokes. “Most homes here were built in the late 1800s,” she says. Nabhan quickly felt at home among the close-knit residents, who come together for an annual spring yard sale and share their skills with their neighbors through informal workshops (think knitting or gardening). Considered one of the premier neighborhoods in Baltimore County, Ruxton-Riderwood transitioned from a land of plantations and country estates in the 18th century to an in-demand commuter suburb with the opening of Lake Roland and the Baltimore and Susquehanna Railroad in the mid-19th century. Today, it retains a country-like vibe with rolling hills and winding roads connecting a variety of homes and small businesses that service the area, from Graul’s Market to the shops at Ruxton Station. Unlike the more orderly, planned neighborhoods of Roland Park or Rodgers Forge, Ruxton was developed incrementally across three centuries, resulting in a natural, eclectic feel. Many of the historic structures remain, lending the neighborhood character and a sense of history. 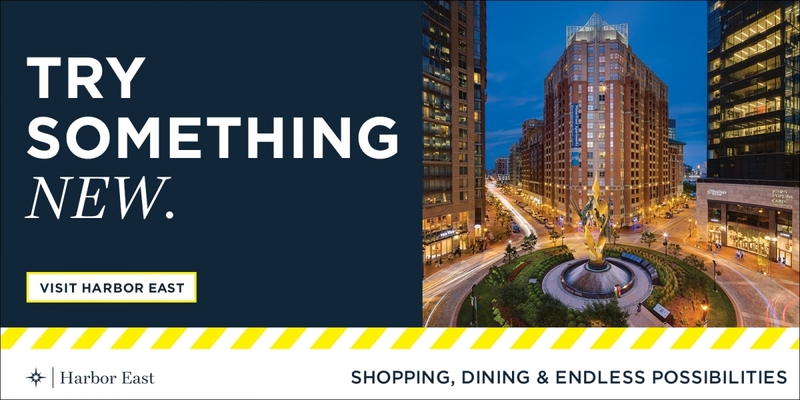 Bordered by I-83 to the west, the Baltimore Beltway to the north, and Charles Street to the east, Ruxton-Riderwood offers access to major highways, making commuting to work or hopping into downtown Baltimore for dinner a breeze. In addition to old trees and expansive, well-manicured plots, nearby Lake Roland to the south offers nature-seekers more than five miles of walking trails and a dog park with water access. 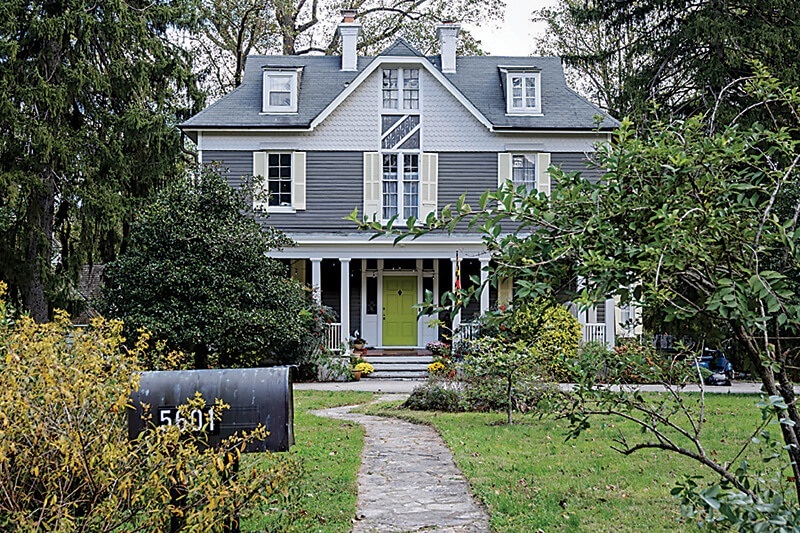 Involved residents ranging in age from young professionals to retirees are active in neighborhood groups that push for preservation and improvements, from the restoration of Lake Roland to the addition of sidewalks. It’s part of what has kept the community desirable for many years. “There’s something for everyone,” says Coale. FUN FACTS: This grand manse was one of the first country homes erected in Mount Washington by wealthy Baltimoreans wanting to escape downtown’s summer heat. It was used as a location for the 1994 comedy-drama Guarding Tess, starring Shirley MacLaine as a fictional former first lady and Nicolas Cage as her secret service agent. The film was nominated for a Golden Globe. Once a leafy retreat from the downtown heat for the city’s wealthy, Mount Washington grew over the past 150 years into seven distinct residential areas stretching from Kelly Avenue to the south to Dixon Hill to the north. Known for its engaged, family-friendly community and green surroundings—“the trees in my yard are more than 100 years old,” says Kleiner—the neighborhood is home to a community garden, hiking and biking trails, and multiple public green spaces including Luckman Park, Northwest Park, and the Mount Washington Arboretum. 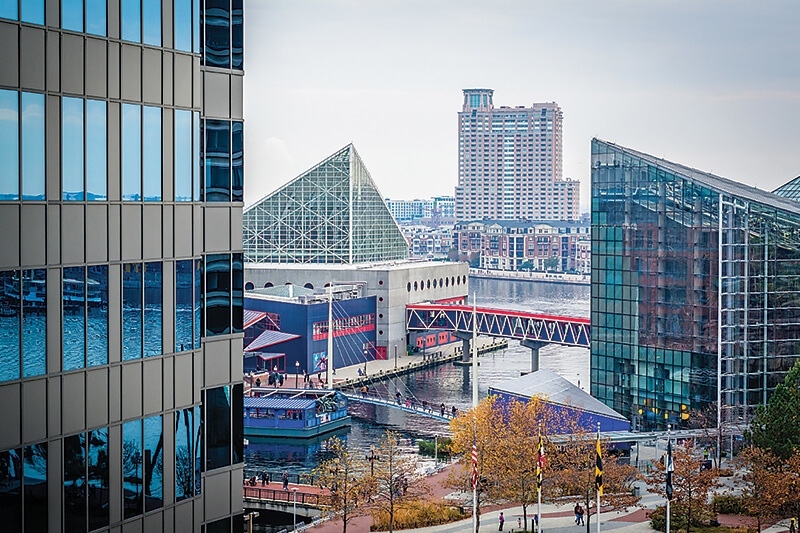 Quick access to downtown via I-83, bus lines, and the light rail makes enjoying the rest of Baltimore a breeze. Mount Washington Village, home to many restaurants, hair salons, and shops, is an easy walk from most homes. Boomers are breaking—or at least reshaping—the retirement living mold.